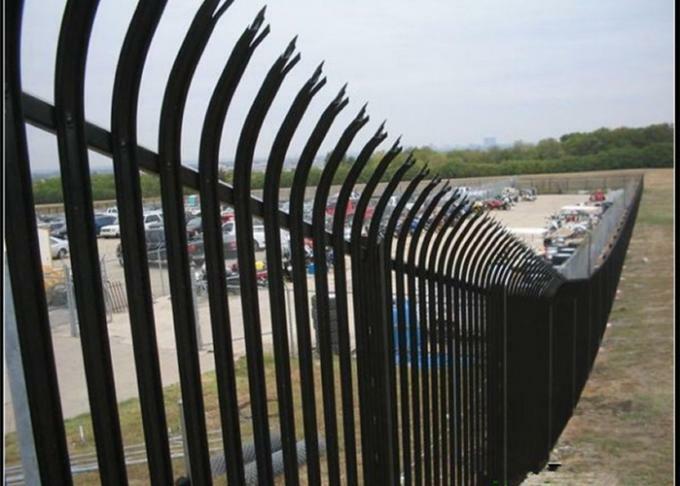 Bending palisade security fence is made from galvanized steel tube, to fix with posts or buried underground to build a fence system in Garden,swimming pool, playground, backyard, villa, parking lot, etc. It can be divided into 2-rail/3-rail/4-rail picket ones and be coated with different colors. 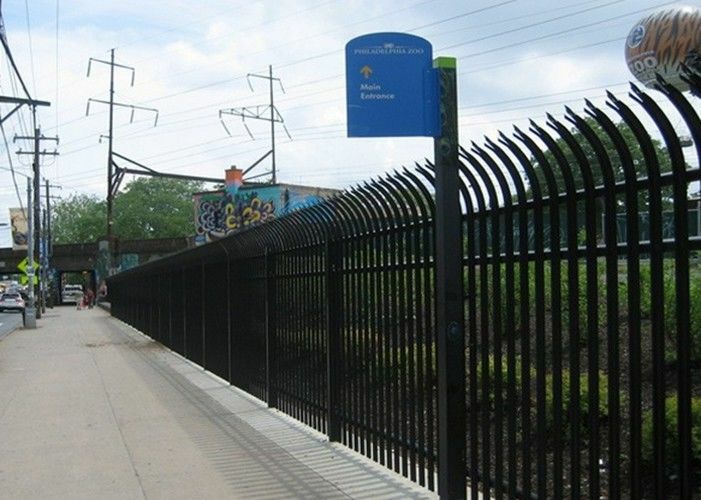 Featured by rust free, easy installation, free maintenance and beautiful design, they are the preferred products to beautify the environment as well as protect your premises. 1. Permanent coating method,no rust,no flake off,no clour fading,bright lastly and stable in color. 2.Two layer anticorrosive treatment and more than 10 years service life fundamentally saves the cost. 3.Environment protection solves the problem of common products have pollution to buildings. 1: Villa, Dwelling zone, Factory/ Industry zone. 2:Park, Animal zoo, Arboretum , Sightseeing zone.